You don’t have to become a diamond expert. In fact, even if you geeked-out online for hours and hours, you probably couldn’t even tell a good diamond from bad. Still, you need to learn the basics, you need to learn the language. Start by studying the Four C’s of diamond buying–Cut, Clarity, Color, and Carat. Once you’ve mastered the Four C’s, find out more about diamond grading and gemologists. Two months’ salary on a diamond ring?! Cruel? Exorbitant? Extortion? Maybe, but this is the industry standard. Actually, there is a method to this madness. The thought is that if the guy can save up two months’ salary, at least there’s some basic stability in his life, as opposed to an 18-year-old with $97 bucks to his name. Find out how much you’re supposed to spend on an engagement ring. And we’re just going to go out on a limb and guess that you wouldn’t mind saving some money. 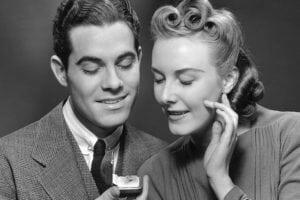 If that’s the case, don’t miss: Engagement Ring: 10 Rules for Saving Money. Assuming you don’t go shopping together, how do you find her ring size? Learn some sneaky, guerilla-warfare style techniques. They involve soap, your fingers, lying, and outright theft. Start here. Should You Go “Ring Shopping” Together? This is potentially the answer to all your ring buying problems. A guarantee that, no matter what, you won’t screw this up. Then again, it drains the occasion of all romance. Understand the Pros and Cons of engagement ring shopping with your girlfriend. 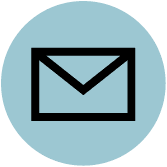 It’s tough to find anyone impartial, because every retail store says “Buy Here!” and every online diamond store says “Click Here to Buy!” How do you even know where to begin? Can you actually trust an online diamond merchant, where you never even see the diamond ring with your own eyes? Find out if buying an engagement ring online is right for you. 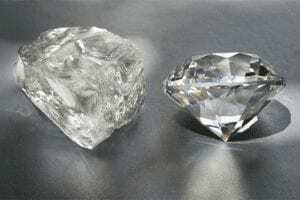 Every diamond over a half carat should have a grading report. It’s a good idea for some smaller sized diamonds as well. 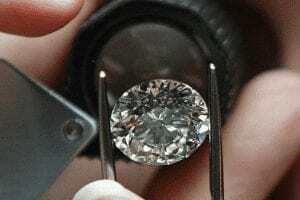 (Think twice about buying from a diamond merchant that does not carry graded diamonds.) To the untrained eye, a diamond grading report is archaic, cryptic, and less straightforward than the calculation they use to find a BCS rankings. Here’s how to make sense of the damn thing. You’re forking over thousands of bucks on an engagement ring. Miserable. The only thing worse, however, would be if you blew all that money and then have nothing to show for it. Protect yourself with insurance for your diamond engagement ring. 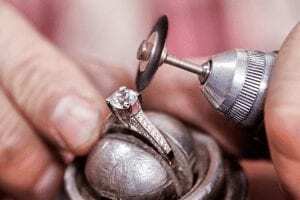 It’s a horror story: you take your diamond ring to a jewelry for work, he fixes it, he gives it back to you… and your diamond has been replaced with a phony. Is it common? No. Can it happen? Yep. Minimize the chance of this diamond swapping happening to you. Choosing a ring can be tough. Make it a little easier with The Plunge’s Ring Finder. Once you’ve scored the ring, make sure you don’t blow the actual proposal itself.